I started this blog with my friend Nicket Singh(Abhishek) as a person who had no idea that one can make money online. In fact, we were unaware of some facts that we can generate revenue from what we share with this world. We were just beginners in the field of blogging and marketing related to it. 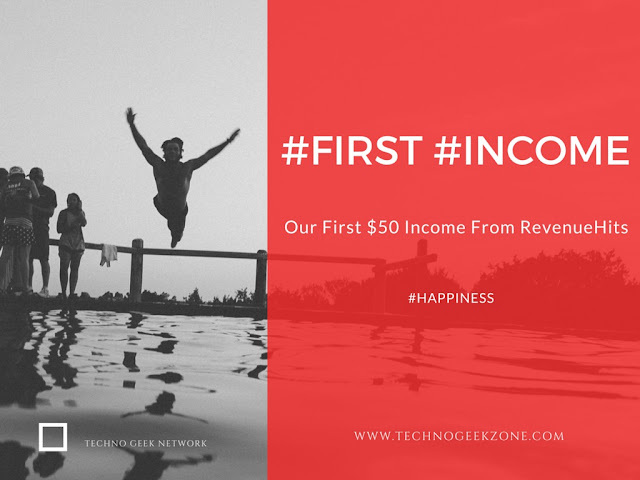 Let me introduce you with some of our beautiful moments before we got our first income $50. I know this is a very little amount but this is first not the last and many more $$$ yet to come. The funniest thing which happened with me that completely changed my views for websites and blogs owners was that previously I used to think that making websites or blogs gives profit and we can become rich. But after starting the blog and having our first Adsense approved made us feel sympathy for bloggers because we were the one struggling hard to get good income but were failing somewhere. To get visitors on your blog is not an easy task nor a tough task to do. But giving quality content to your blog visitors is a tough task which one can do. Previously, I was also in the trap of doing easy tasks but something changed my mind. The change which came in me after getting our Adsense banned by Google for Invalid activity. However, I didn't say any of my friends to click on ads but still, it happened. The main reason was that at that time our blog Techno Geek Zone was getting only 200 visitors daily and CTR was high which lead to a ban of the Adsense account. After getting banned from Google Adsense I switched to Media.net but It was just a waste of time for me as it gives good CPM rates for US and Canada Impressions which lacked on my blog. Now, this was a perfect time for me to get into Google searches to get any good advertising partner for publishers which could really pay me. Suddenly I met with Snapdeal's AppShare program from which I earned a 16 GB Pendrive and some other stuff totally costing more than 1000INR but It was all temporary and It was time to get some real source of income. Once I was reading an article about Online Earning through Blogging and I got to know about RevenueHits, at first I didn't believe it but after reading many more reviews about it finally decided to use it. I signed up and got approved in seconds, after placing ads for one day on blog got to see a good news on dashboard of RevenueHits, It was $1.5 first day income with only 500 visitors but this amount fluctuates every day because on the very next day it was $0.4 and again next day it was $0.98 . Although, It won my heart. Finally decided to use RevenueHits to earn some amount as well as our first payment. Cheered! So it made a total of $ 26.74 + $ 26.66 = $53.4 Bonus: Holla! I liked the service of Payoneer also because they didn't deduct any charges for conversions or exchanging and they transferred the amount within 2 business days which is almost faster work than expected by me. 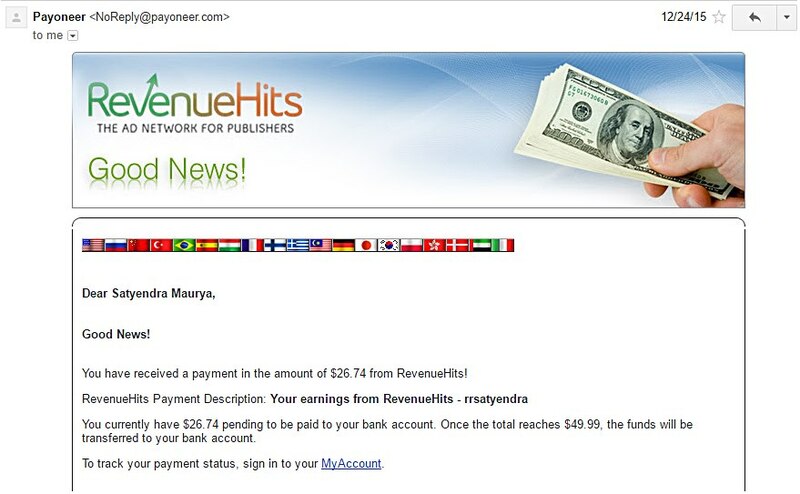 RevenueHits pays it's a fact but still because of some issues decided to stop the use of RevenueHits to earn but Will be earning via its referral program. The main issue arises with RevenueHits is that it is a pop-up based ad network which sometimes irritates users of the blog besides earning from blogging our first job is to give our users a better service. Personally, we are not saying that RevenueHits is bad in its terms but reality is that we want to move to a better Network. However, I would like to suggest every blogger use RevenueHits If they haven't earned any amount for their hard work. It is easy to earn money online and on same side, I can say it is the toughest job one can handle. For achieving anything in life I suggest you work Hard and work Smart because no one can achieve success with only Hard work as Smart work is also needed. Hope, You will also share some of your experience related to blogging with us via comments. Feel Proud because we are Bloggers and Share Smartly! Happy Blogging! 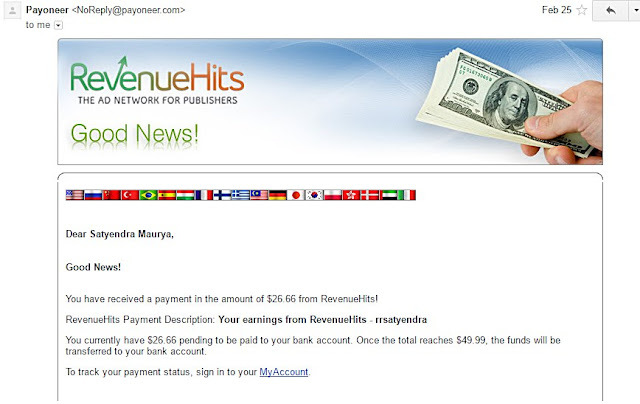 I think all bloggers can now earn from Revenuehits. Thank You! What I actually think if it work simply without Pop-ups then It will be surely beating Adsense in this race. I am Using Revenue hits from 4days..1st day i got 203 impressions,28clicks,but no revenue and ecpm,2day only 11 impressions,3day 375 impressions and 30 clicks...but still no ecpm and revenue.....Why revenuehits is not giving revenue for me. Yeah! 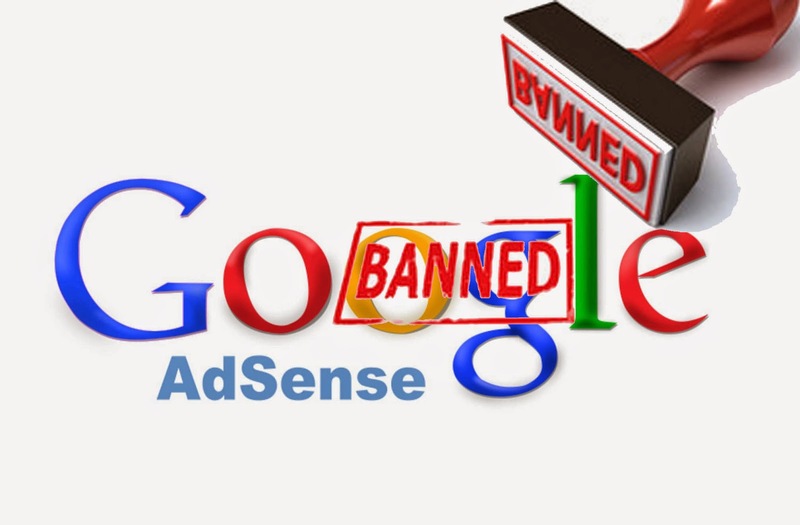 currently am using Adsense on this blog I almost get same income in both networks and Adsense is much better than RevenueHits in the field of non-intrusiveness. People nowadays hate pop-ups. PS - RevenueHits is a CPA network not CPM network. It pays only when someone do the directed work when they click on ads like signing up or purchasing products. It is 100% Legit.